Your gums’ primary role is to protect your teeth and keep them firmly in place. But periodontal (gum) disease can damage your gums to such an extent you could ultimately lose your teeth. Gum disease is a progressive infection caused by bacterial plaque built up on tooth surfaces from poor oral hygiene. The initial infection triggers inflammation, a defensive response of the body characterized by swelling, redness and bleeding of the gums. An initial form of the disease known as gingivitis occurs in most people after just a few days without brushing or flossing. Resuming hygienic activities to remove daily plaque, along with regular dental cleanings, may be enough to stop gingivitis and restore healthy gums. 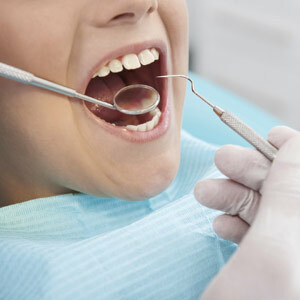 If the disease is allowed to advance, however, the infected gum tissues will begin to detach from the teeth, turning the slight normal gaps between teeth and gums into wider voids known as periodontal pockets that fill with bacteria leading to infection. Your hygiene efforts will not be enough to cope with this advanced form of periodontal disease. At this point professional techniques are required to adequately remove plaque and calculus (hardened plaque deposits), depending on the depth and location of the periodontal pockets. The most basic of these is scaling using specialized hand instruments or ultrasonic equipment to remove plaque and calculus in pockets at or just below the gum line. If plaque and calculus have extended to the roots we may then need to employ root planing, in which we “shave” offending material from root surfaces. In some cases this may require accessing the area surgically beneath the gum tissue. As plaque removal progresses, inflammation will begin to subside and the gum tissues heal. If, however, swelling, bleeding or pus formation persists, this may indicate bacterial levels remain too high. To decrease these levels we may need to administer antibiotics, or through mouthrinses containing chlorhexidine. Once under control, it’s crucial from then on for you to maintain a strict daily regimen of brushing and flossing to keep plaque from building up on tooth surfaces. You'll also need to visit us regularly (two or more times a year) for professional cleaning and checkups. Keeping a close eye will help prevent a reoccurrence of this serious disease and prolong the life of your teeth.